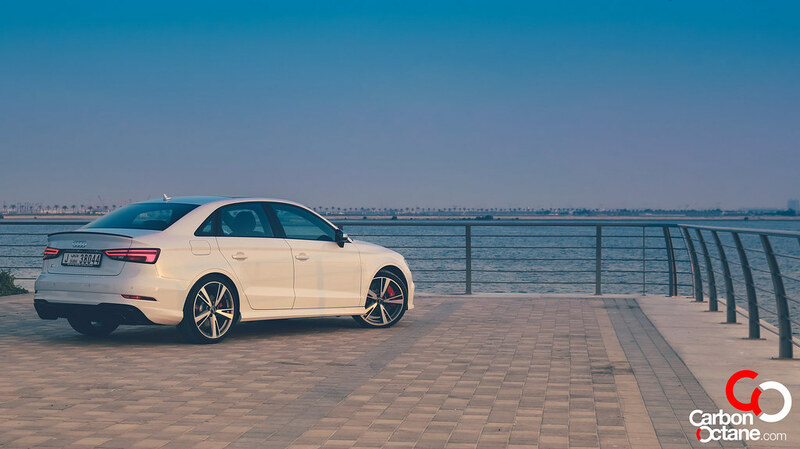 Winning this year’s Middle East Car of the Year in the Performance Small Sedan category says it all for the 2018 Audi RS3 Quattro. 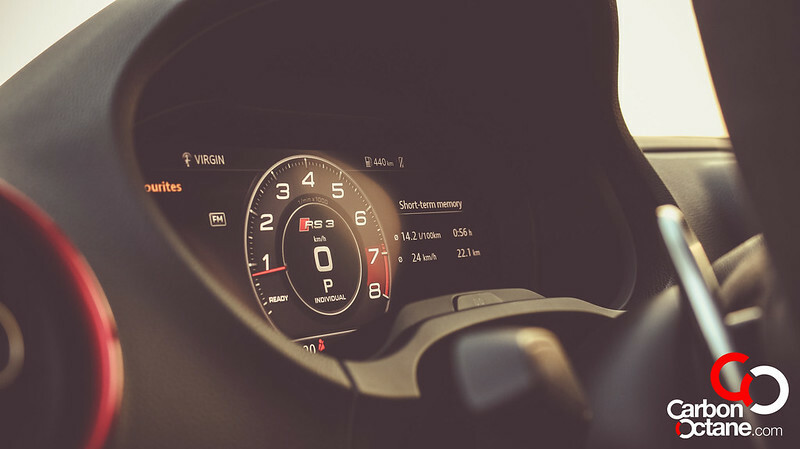 400 horses, 480 Nm of torque and a 0-100kmph sprint in less than 5 seconds is THE perfect recipe to increase the blood pressure and induce sweaty palms for any automotive enthusiast and outright fear and shock for those who are not. 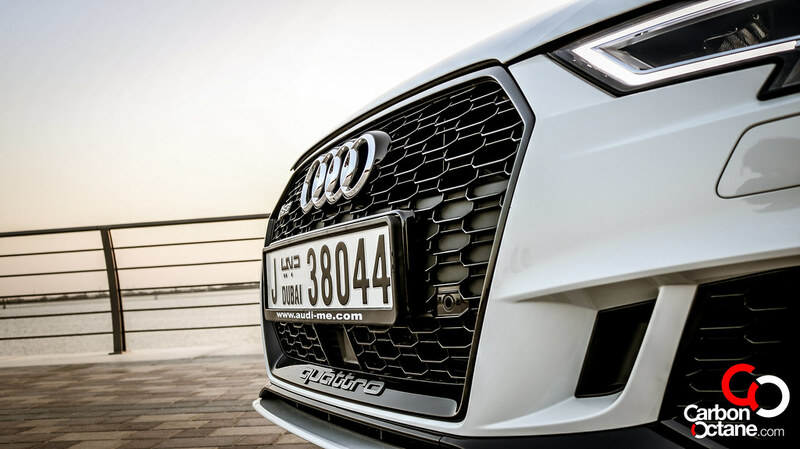 Please take a bow “Audi Sport”. 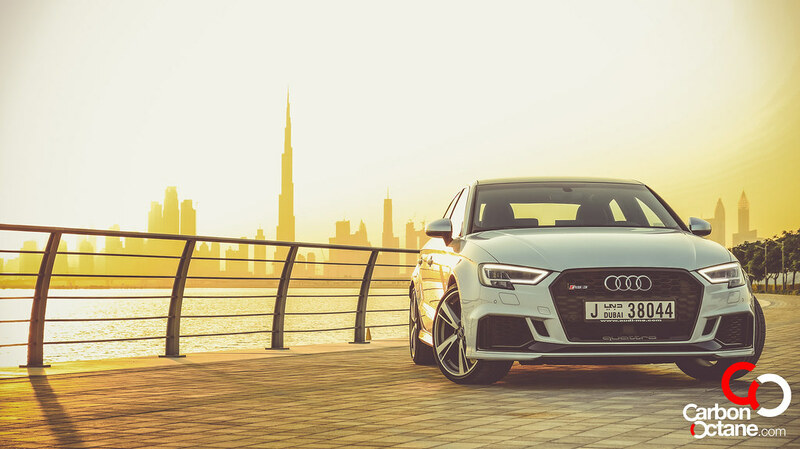 Let’s go back a couple of years when in 2016 Audi introduced the RS3 Hatchback in the UAE. 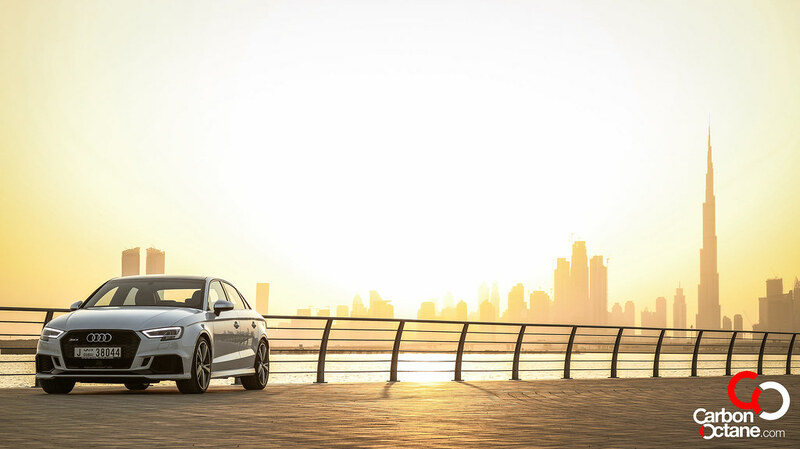 It was more like storming into a category which was dominated by the likes of VW’s Golf R and Mercedes-Benz’s A45 AMG producing 280 Hp and 360 Hp respectively. 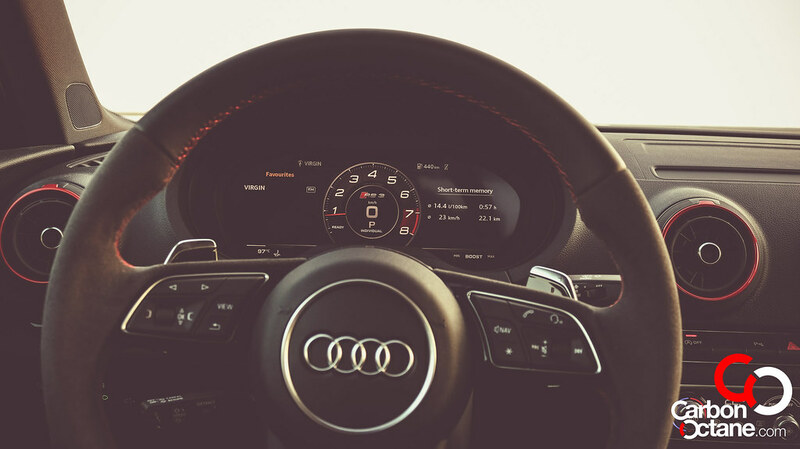 Audi needed to one up its neighbor from Affalterbach and came up with the rather unusual 5 cylinder turbocharged power plant good for 367 Hp and thus de-throned the mighty little AMG and starting a tug of war on Horsepower race with Mercedes-Benz. Mercedes-Benz retaliated by updating their A45 AMG with a slight boost of horses to 375 by late 2016. It was clear that the ball had been rudely smashed back to Audi’s court and a swift retaliation was necessary. 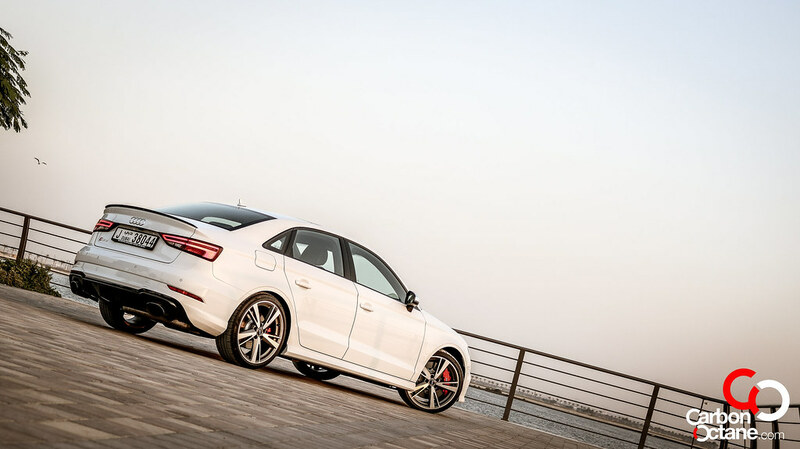 As a result, the 2018 RS3 delivers a whopping 400 Hp from its newly reworked 2.5L 5 cylinder engine, that’s 160Hp per Liter. There was a time when the Honda S2000 had one of the highest specific output of 118.5 Hp per Liter, well that was quite some time ago. To put the specific output to perspective, the all new baby Ferrari which was recently launched and boasts 600 Hp has a specific output of 151.5 Hp per Liter, the new Focus RS has 152.2 Hp per Liter, Civic Type R gets 153 Hp per Liter and even the Godzilla on steroids i.e. Nissan’s GT-R Nismo has a lower specific output, that is lower than the RS3, of 157.9 Hp per Liter. It’s only when you venture into the likes of the Ferrari 488 GTB and the McLaren 720S does their specific output trumps that of the RS3. Now that’s food for thought for what we have here. I love hatchbacks and station wagons. 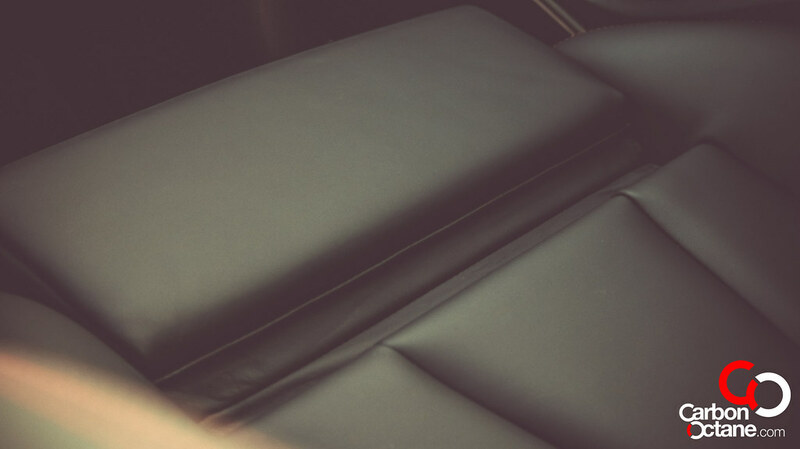 I don’t know why I do but I think I like the way the lines flow towards the end of the vehicle over the sedans. 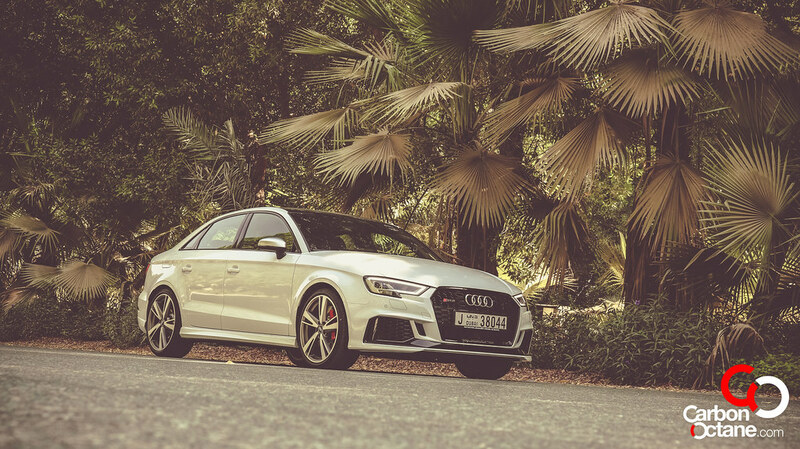 Unfortunately the 2018 RS3 could be had, in the GCC, as a sedan only. That was my only complaint. 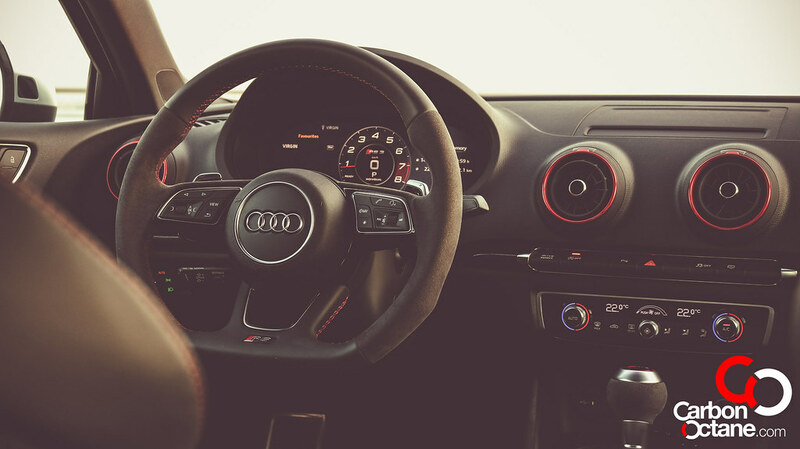 The Audi RS3’s character introduces early as you are greeted with a “braap” from the exhaust as soon as your wake her up by pressing the Engine Start/Stop button. Let’s just say that it makes a statement as soon as you get into it. 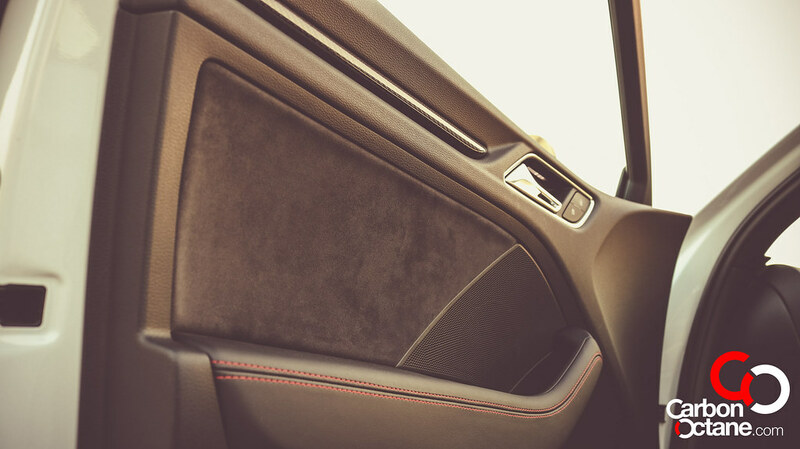 Inside, the RS3 is basically trimmed like its lesser sibling, the S3 with a big dose of alcantara. 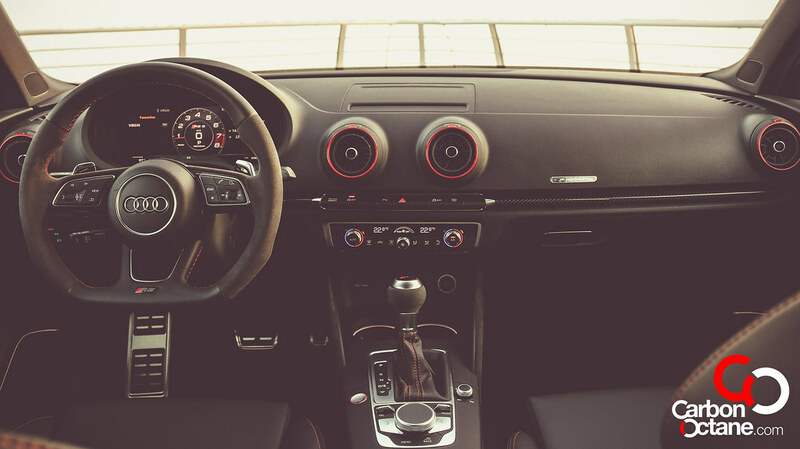 Though the RS3 comes with alcantara lining on in the seats, steering wheel and door panels; the only mark that reminds you that you are driving the RS3 is the badge on the steering wheel and the digital dashboard which Audi like to call it as “virtual cockpit”. But how does it drive you say? 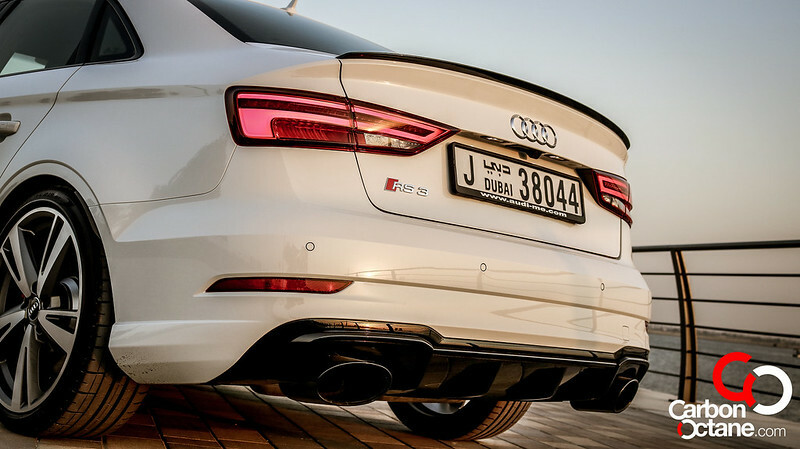 The RS3 has a dual personality. 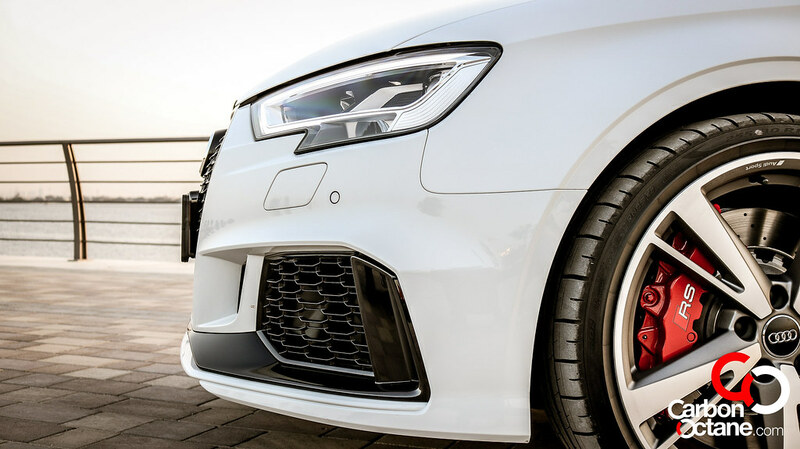 Yes it rides on low profile 19 inch tires which provides firmness on city rides that is a tad stiffer than the S3 but that’s natural as there are over 120 horses to tame and it’s a relief that the stiffness is not too harsh for everyday city driving. 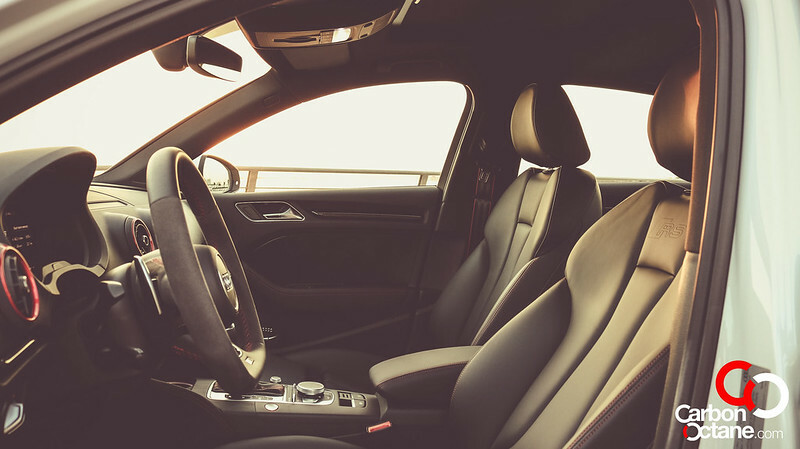 It’s when you take it to Jabel Jais that you would start to feel the synergies of physics and emotions that comes together in a blend on motoring satisfaction. 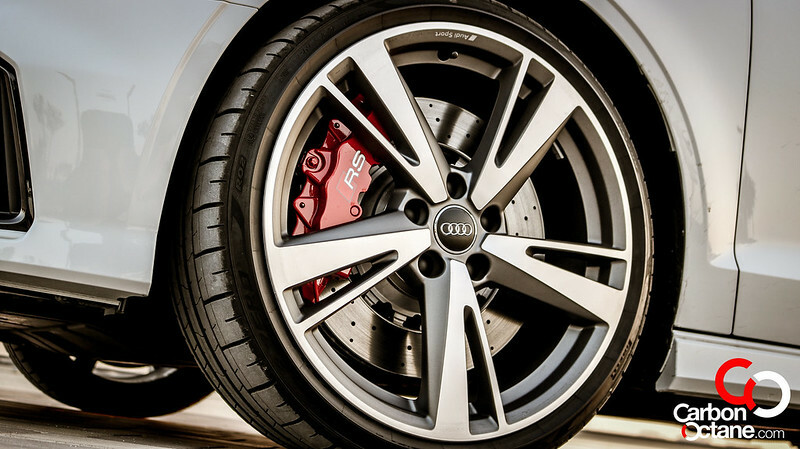 Yes the Audi RS3 is superbly balanced and the Quattro, which can now be adjusted, for you to experience some degrees of slip before it kicks in like that one found in the R8 makes you, at least for some time feel immortal. 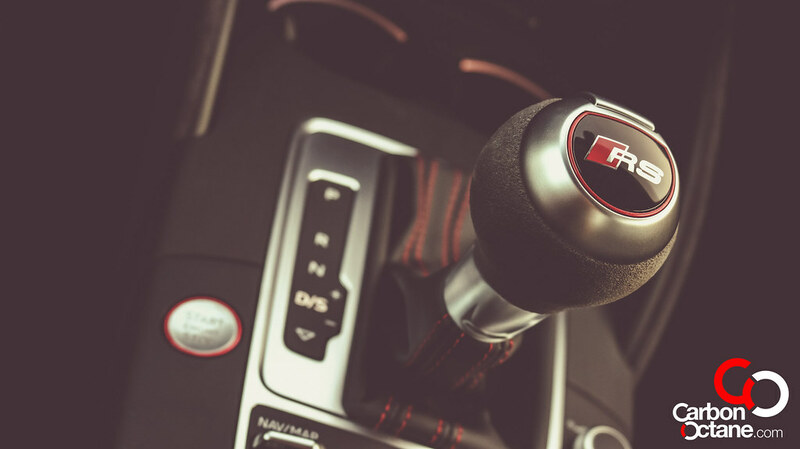 There’s just way too much stuff going on, the peripheral vision blurs, bends come and go and the RS3 feels planted on the straights and when it slingshots out of a bend. How is this possible? 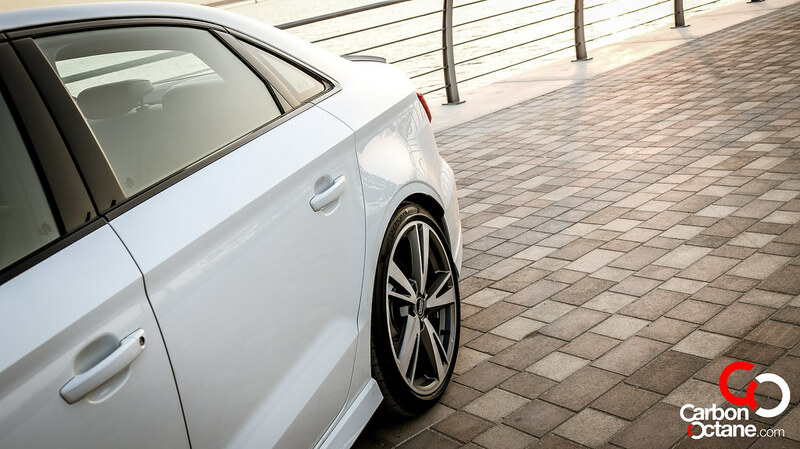 It’s Audi’s perfection in getting the delicate balance spot on between the Quattro, chassis dynamics and engine power delivery. 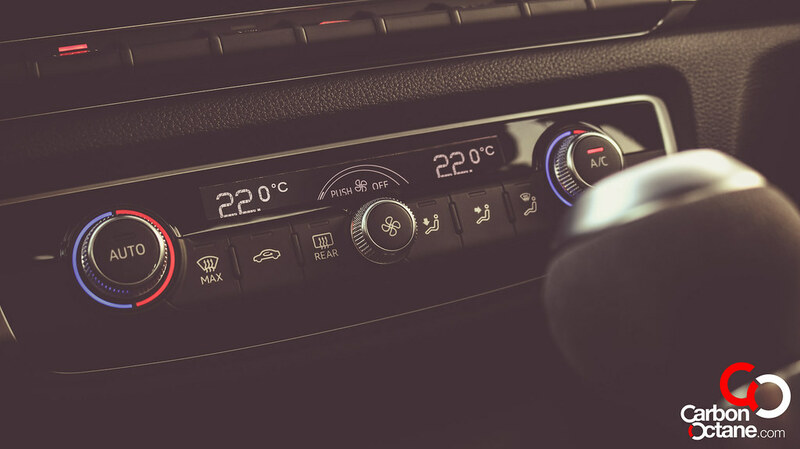 As with the previous models there are various drive modes as well as an individual mode. 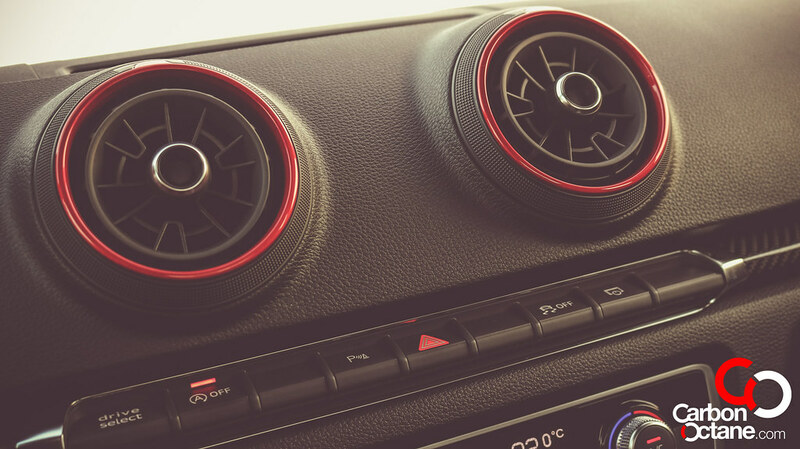 You can select engine characteristics as well as suspension dampening and exhaust note. We kept, for most of the times, everything on comfort expect for the exhaust which was set at dynamic. Audi has been developing its Quattro since 1980 and they know a thing or two more about “All Wheel Drive” than Mercedes and BMW in this regard. 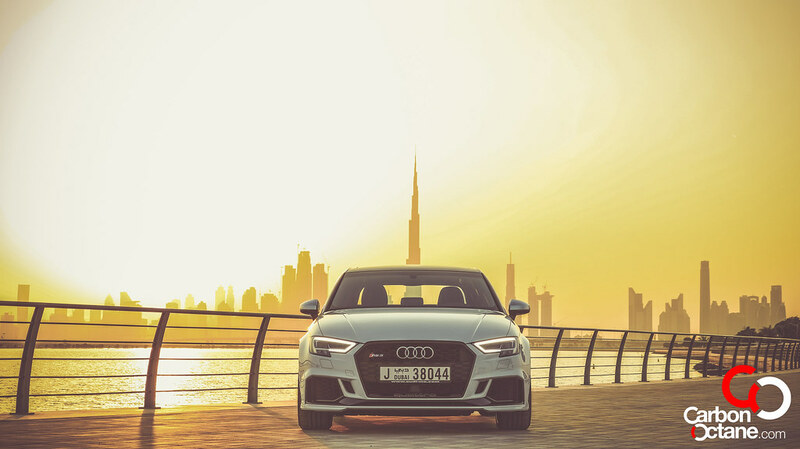 There was a time when both BMW and Mercedes-Benz wouldn’t touch an AWD system with a meter stick and now they all have their own systems which mimics the Quattro.The RS3 could be had for AED 225,000 and to me that’s a bargain. What do you have in that price range that can give you 400 horses, well nothing, at least for now. 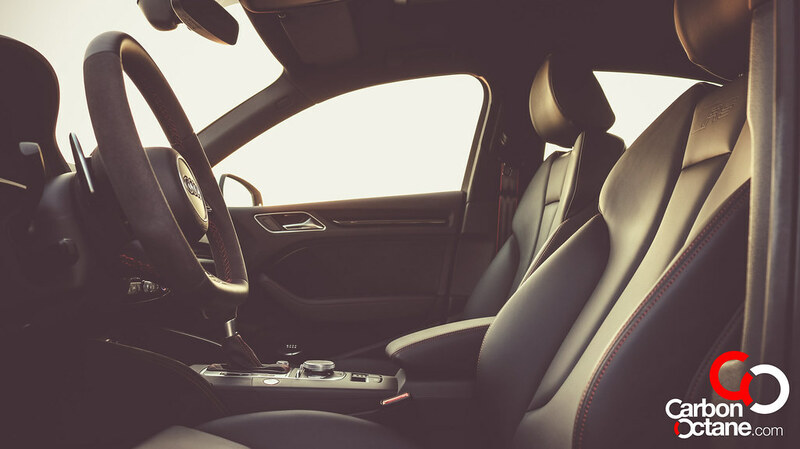 AMG’s boss, Tobias Moers revealed, at this year’s Geneva Motor show, that the all new A45 will surpass 400 Hp from its new engine but till then Audi’s RS3 reigns supreme and I’m sure the boys at Audi Sport have already started on the next A45 AMG killer. I love this rivalry which is never ending.